Un chapeau de paille d'Italie was a very successful 1851 play written by Eugene Labiche and Marc Michel. Labiche's family had intended for him to follow a career in law, but in his heart he was an author and, with the blessing of his wife, he followed his heart to succeed in the theatre. "Of all the subjects," he said, "which offered themselves to me, I have selected the bourgeois. Essentially mediocre in his vices and in his virtues, he stands half-way between the hero and the scoundrel, between the saint and the profligate." 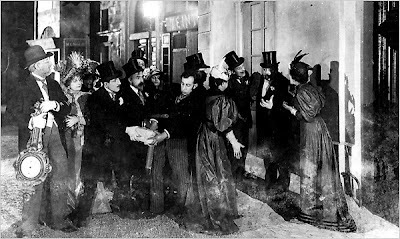 Audiences both laughed with and at the travails of Ferdinand and his various family, friends and sudden acquaintances in The Italian Straw Hat as Fate, with a capital "F", steps in to ruin his wedding day. 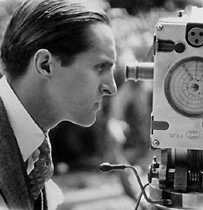 Producer Alexandre Kamenka chose the perfect director for the 1928 production of The Italian Straw Hat in Rene Clair. 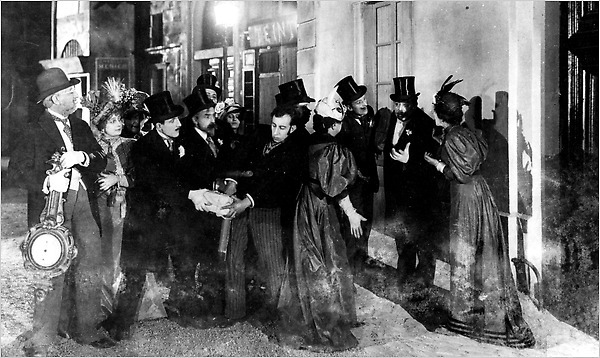 Clair changed the setting of the 1851 farce to 1895 Paris and treated the audience to a peek at the foibles and pretensions of the middle class. Ferdinand and Helene are to be married. Relatives are readying themselves for the ceremony and reception. Buttons refuse to be hooked. Gloves have gone missing. Shoes are too tight. Collars come loose. Gifts are scrutinized. Hopes are high. Frustrations are plentiful. Ferdinand avails himself of the fresh air in the countryside. A lady, Madame De Beauperthuis and her lover Lt. Tavernier are also availing themselves of the, uh, fresh air. 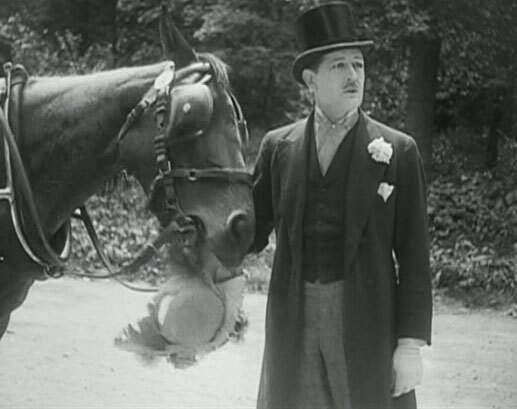 The lady's lovely straw hat has been placed delicately on the shrubbery where Ferdinand's horse finds it irresistible. 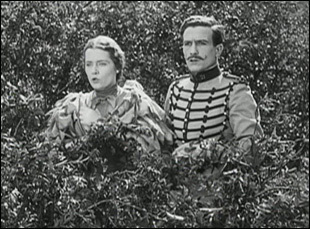 The dashing lieutenant demands that Ferdinand replace the hat exactly as it is a rare and recognizable hat that was a gift from the lady's husband and should he find it missing, the lady will be compromised. And - we're off to the races. Ferdinand must find the lady a suitable replacement. He must keep her identity a secret. He must also get married, attend his reception and keep his wife and everyone he has ever met happy and "in the dark" about his predicament. Ferdinand's valet tries to stop the marauding relatives. Such fun! Such wonderfully humourous scenes in this comedy! The wedding ceremony at the City Hall enjoyed most of all by the deaf uncle. The dancing at the reception with the twirling assemblage and close-ups of the nervous Ferdinand. The overwrought lieutenant threatening to destroy everything in Ferdinand's house. The befuddled and helpful stranger who turns out to be the lady's husband! The suspicions of the family and new bride who proceed to empty the home of wedding gifts. These are the sorts of situations you might think would work best through pithy dialogue delivered with a wink, after all, it is based on a stage play. However, nothing is lost and perhaps more is gained by the delightful cast and their thoroughly professional and inventive director in this treasure of a silent comedy. A highly recommended, laugh-out-loud winner. Presented by the Toronto Silent Film Festival 2012 at Casa Loma. Clark Wilson at the Wurlitzer. This must be one of those seldom shown Clair films--I haven't seen it. He was a master at lyrical silent films. Le Million and Freedom for Us are real gems. I saw the movie for the first time last month at the Toronto Silent Film Festival. The screening was in beautiful Casa Loma with Clark Wilson accompanying a restored Wurlitzer. The packed house rocked with laughter. Excellent post! I took a French film course in college and we saw lots of Clair. Among my faves are this one, LE MILLION, and UNDER THE ROOFTOPS OF PARIS. People often use the expression "a sure hand" when talking about a director and it certainly applies to Clair. Thanks for the post. I will keep an eye out for it.. I'm sure you'd enjoy it, Dawn. This sounds delightful. I love the premise. Not seen it, but it's on the list now. Wish I could have been there for the Mighty Wurlitzer alone. Caftan Woman, THE ITALIAN STRAW HAT sounds utterly charming. I can almost hear the Wurlitzer now! Lucky you for getting the opportunity to see it! JTL and Dorian, I wish you could have been there with me. It was a grand evening.